At least 8 people are reported to have been killed in Texas in new tornadoes, raising the death toll to 26 in a week of storms across the South and Midwest. Five people died when their cars were reportedly blown off a highway in Garland, near Dallas. Another three bodies were found in nearby towns. Texas and Oklahoma could suffer a “historic blizzard”, bringing up to 16in of snow, officials say. Garland police believed that “winds from a tornado that passed through” the town late on Saturday were the cause of car accidents, Melinda Urbina from the Dallas County Sheriff’s office said. 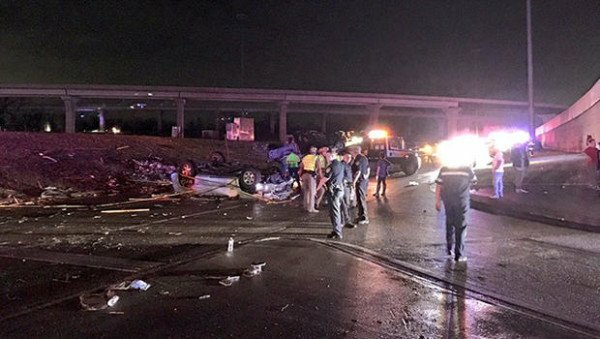 Melinda Urbina said the winds “tossed the cars around”, and the vehicles were later found below Interstate 30, about 15 miles north-east of Dallas. “Doors began to turn inward, when I saw that I figured the glass was going to shatter and hit me in the face, so I broke and ran down the hallway and by the time I got just a few feet everything collapsed and went dark and fell on top of me,” he said.